Yes, brilliant, sharp design, very 2009. 370Z-style headlights look great on it - funny, as I don't like them on the 370Z. Hopefully, I might be able to put something together for this, really love the idea. Finally done my entry. Lots of setbacks since lots of stuff is going on at school =\ but i'm very satisfied with the result. Link to original (full-size image) is here. I have done so many silvia sketches, but I aint happy with any of them. I think i'm gonna try and forget adding retro Silvia design cues and go modern and cutting edge.. the kind of car the Silvia would be now. 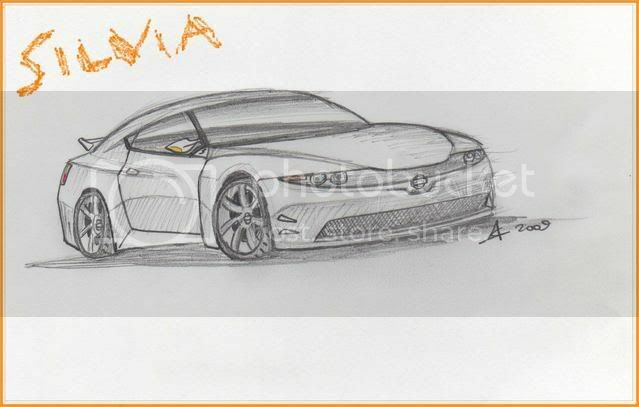 I'm also thinking of making it a small coupe, as the 370z and GT-R cover a lot of the coupe market. 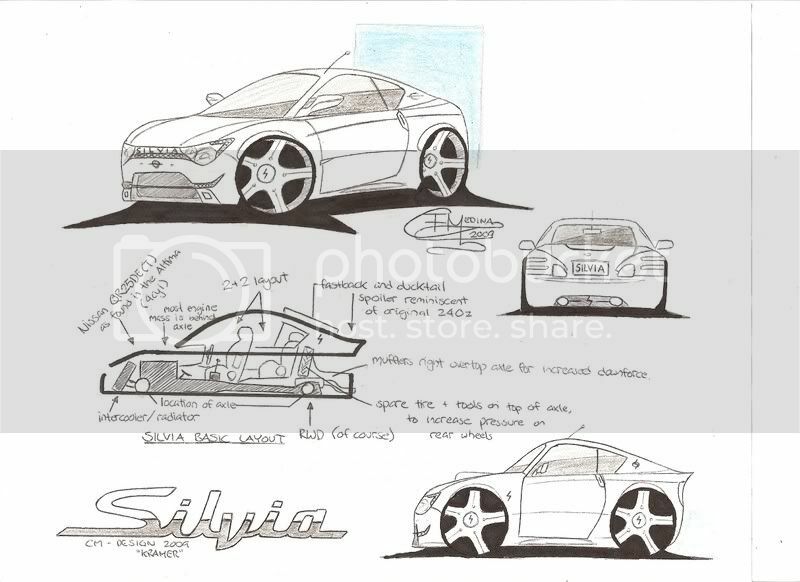 I think the Silvia should be the affordable Nissan coupe. I'll try and get a final entry done before the deadline but can't promise anything! All the entries so far are awesome! Not gonna have time to draw the ultimate Silvia, so i'll enter the best of a bad bunch of Silvia's that i've drawn. I'll post up the others at a later date in the design section. With this Silvia, I tried to mix some GT-R cues with a simple and clean front end with echoes of S13. Wow! Cheers Swizzle! And to think that I wasn't entirely happy with this design.. I'd be happy with it - it's SICK!